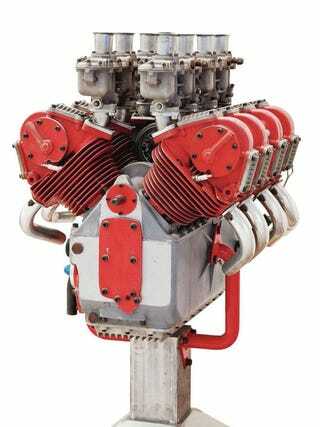 Ducati v8: 1.5 liters, 170hp, never installed. Competitive for 1961. Air-cooled. Desmodromic. I bet it would have sounded amazing. Never used. Shame. something to recreate and drive with our collecctive lottery winnings.